The 19th FIFA World cup football matches are proceeding successfully in South Africa. Group and pre-quarter matches are already over. Now people are eagerly waiting for the first Quarter match scheduled for today evening. 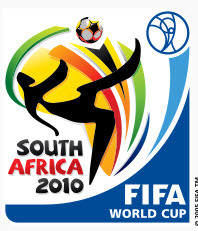 The 8 teams qualified for the Quarter final of FIFA world cup 2010 includes Brazil, Netherlands, Uruguay, Ghana, Argentina, Germany, Paraguay and Spain. ESPN is the official TV and satellite broadcaster of FIFA world cup 2010 in India and a few other countries. 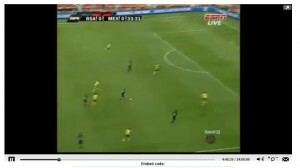 However, you can also Watch FIFA world cup 2010 live online using streaming links provided here. Brazil Vs Netherlands live on 2 Jul 7:30pm (IST). Uruguay Vs Ghana and Argentina Vs Germany live on 3 July 12:00am and 7.30 pm (IST). Paraguay Vs Spain live on 4 Jul 12:00am (IST). 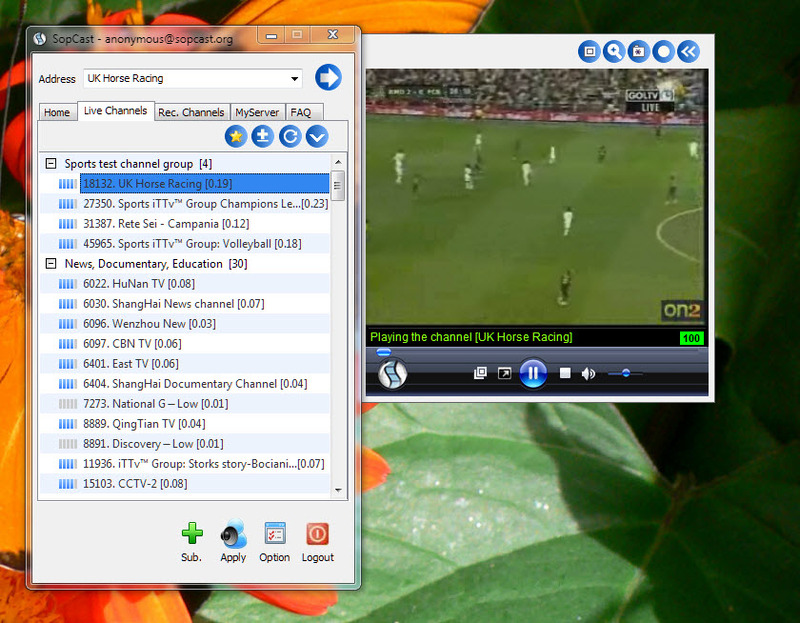 We shared some of these links in our old posts related to online football streaming. 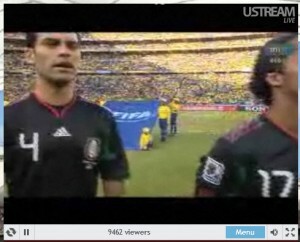 They are still useful to watch FIFA world cup 2010 live online. Watch Live FIFA world cup on ESPN using ATDHE: Proceed to this link and select ESPN. Now install Veetil player, restart and enjoy live streaming. and search for FIFA world cup 2010. 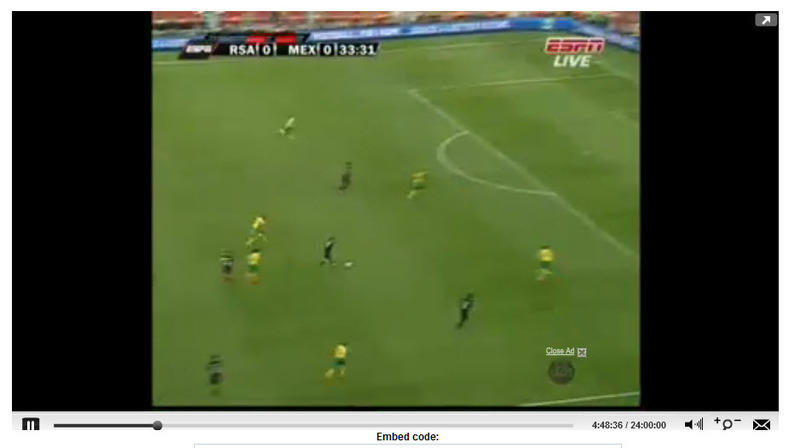 High quality HD streaming of FIFA world cup 2010 (ESPN) from Lanka world TV HD: Lanka World TV provides above average quality stream for World cup football quarter, Semi finals and Final here. Download Sopcast player and install it on you computer. After installation, sign in as a anonymous user or register for new account. As you see from above image, select the live football channels broadcasting FIFA world cup 2010 from right plane and start playing. The quality of the stream is not that good, but still its OK.
FIFA, FIFA World Cup, ESPN and other trademarks used here belongs to the respective owners. We are not responsible for video streams published in external websites. is there any embedded video here? I’m rooting for Argentina but still dunno what happens next. I bought registry mechanic some time back. I sent you an email and you gave me the code for i. After installing it my computer crashed again and like a fool I had just put it in word. If you will send it to me again I will put it in a place where if it ever needed again I will be able to to get it without sending another email. I also need to know when it expires.